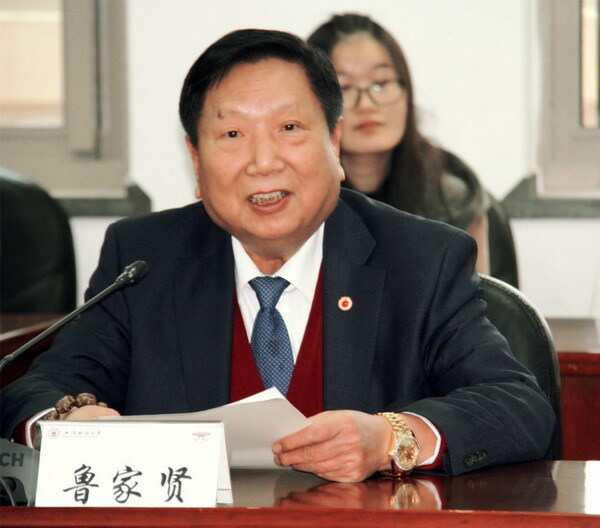 Shanghai Soong Ching Ling Foundation-Lu Jiaxian, Gao Wenying Special Fund donated RMB 3 million yuan to Shanghai University of Finance and Economics to set up a "Female Student Grant”. The donation ceremony was held at Shanghai University of Finance and Economics on December 25,2017. Vice president of the Austrian-Chinese Friendship Association, Austria state-level lifelong professor Lu Jiaxian, Shanghai Soong Ching Ling Foundation acting secretary general Jia Yong, vice president of Shanghai University of Finance and Economics Fang Hua and others attended the ceremony. For a long time, Lu Jiaxian, Gao Wenying Special Fund has been supporting the education of Shanghai University of Finance and Economics and has funded 400,000-yuan for the university’s migrant children research project, a long-term, follow-up research project on migrant children's migration trajectory and growth experience, creating our country's first large migrant child Tracking database. The newly established "Female Student Grant” will be divided into three years, 1 million yuan each year to fund 100 female students who are economically difficult and excellent in both morality and learning. 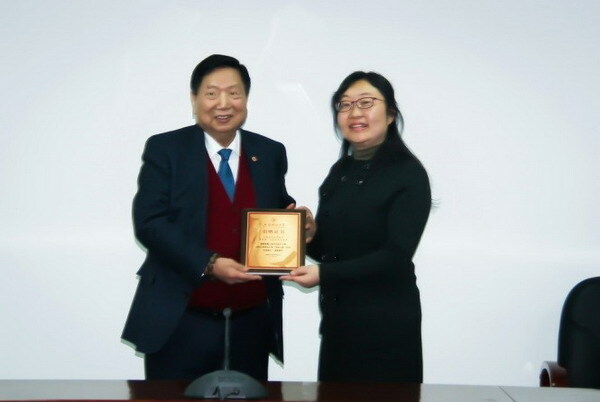 Shanghai University of Finance and Economics issued a certificate of donation to Mr. Lu Jiaxian. In his speech on the ceremony, Mr. Lu Jiaxian expressed his great pleasure to come to Shanghai University of Finance and Economics again. He graduated from Zhejiang Business University and majored in finance, so he has special feelings for "Finance and Economics". Having participated in recent years in donation and education aid public welfare activities in Shanghai, Shaoxing and Qingtian in Zhejiang province and other areas, Mr. Lu Jiaxian believes that the various public welfare activities in the fields of education and culture carried out by the SSCLF conducive to social development, and "Female Student Grant" project can help poor girl students to complete their studies successfully, and become country’s available talents in the future. Finally, Mr. Lu sent a message to the aid-receiving students that the reality of being born in a poor family cannot be changed, but they can change their life through their own efforts. He hopes the students remember the following three points: firstly, change their life with knowledge, serve the motherland and repay the community; secondly, learn to seek help from others while helping others, more exchanging and sharing with others, learn to integrate themselves into society; and thirdly, learn to adhere to what they are doing, overcome difficulties with their strong determination and perseverance. 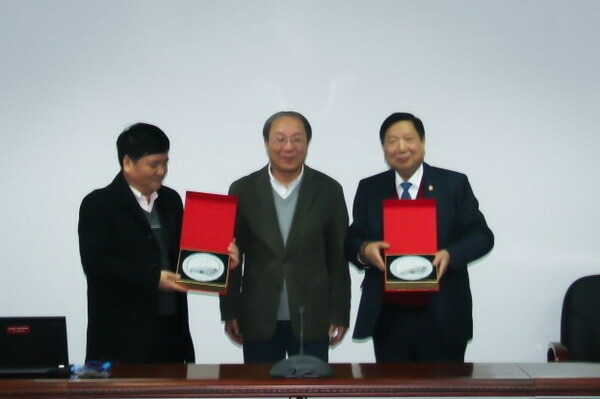 Fang Hua, University vice president, presented souvenirs for Mr. Lu Jiaxian and Mr. Jia Yong.